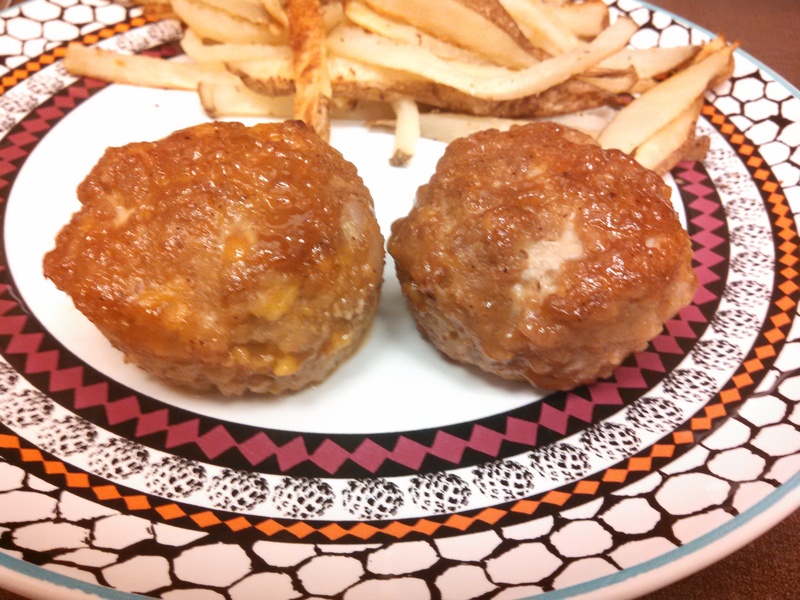 These cheddar-BBQ turkey meatloaf cups from Aggie’s Kitchen are pretty “all-American” too! 😉 I never really grew up with meatloaf as a dinner staple in my household, but I must say there is something even better when they are in little individual cups! Maybe they are just more fun to eat, who knows? Anyway, this really is a tasty twist on plain ol’ meatloaf. One note is that the original blogger said this makes 12 cups. As you can see, mine only made 8, and mine were not quite full. The cup-size on my tins may be larger, or…well, who knows. -Add all the ingredients for the meatloaf mixture (minus honey, sauce, and mustard) into a large bowl and gently mix with your hands. 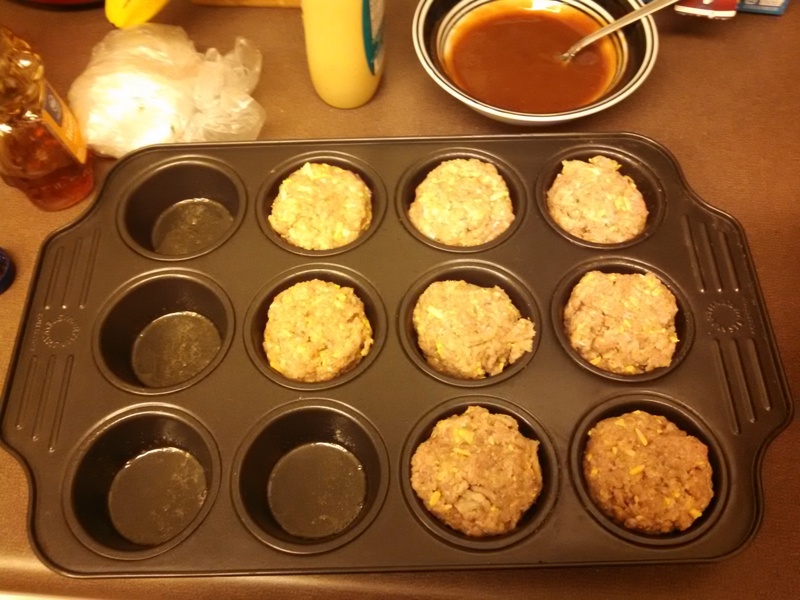 Spray a 12-cup muffin pan with non stick spray then add meatloaf mixture evenly among the cups. 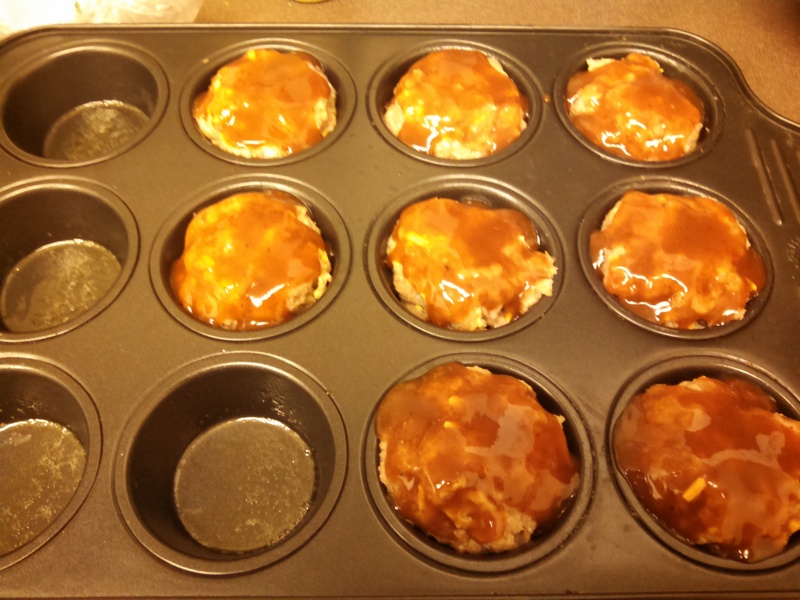 -Combine the honey, barbecue sauce and mustard in a small bowl, then spoon or brush it evenly over the meatloaf muffins. -Bake for 20-25 minutes until you see the muffins bubbling and start to slightly separate from sides of muffin pan. Turn broiler on for 2-4 minutes to get the tops nicely browned.